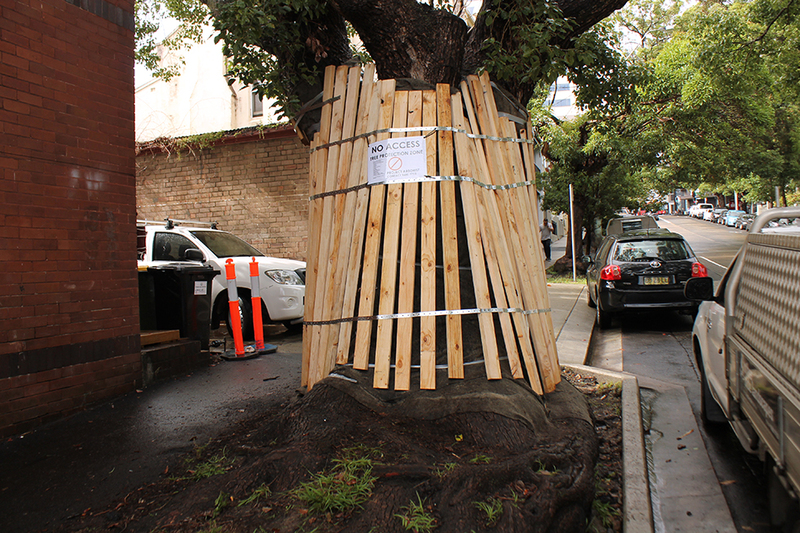 When construction is proposed near significant trees tree protection is required to be installed. We specify tree protection in accordance with the Australian Standard for the Protection of Trees on Development Sites AS4970-2009. The protection of trees on construction sites requires a commitment by the client and the builder. If tree protection is not taken seriously it becomes clearly apparent when the trees start to fail, usually years in the future.